Home > Blog > Blog > Why is APR used to measure guarantor loans? Why is APR used to measure guarantor loans? APR plays an important role when it comes to measuring loans, or in fact, most financial products that are available on the market across the world. But what exactly does it mean for this particular kind of loan, and what do you need to know about it. We explain why it is significant in the loan industry. The acronym APR refers to Annual Percentage Rate. This is a term used by lenders across financial products in order to describe to the borrower the cost of lending money over the course of the year. The reason that this is done, is so that there is transparency as well as clarity when you compare the cost of different products across lenders. This amount will take into account things such as interest as well as any other charges that may be included, such as an annual fee. However, when it comes to the guarantor loans industry, using APR can appear on the face of it not as accurate as it would appear to be when it comes to other financial products (for example, things that typically come with annual interest rates like savings accounts, credit cards or mortgages). Why is this the case with guarantor loans? It comes down to the issue that for the majority of people who apply for this kind of credit and are accepted, they simply take out this loan for just a few months. That means then that the APR for guarantor loans seems comparatively high compared to other products, as the monthly rate is calculated as if the loan was in fact for the entire year. That means that the average APR rate for a guarantor loan is typically 49.9%, which understandably appears higher to prospective customers. Another alternative is to take the loan or interest amount then times this by 100. There are a number of things to be taken into consideration when it comes to APR for guarantor loans. As previously mentioned, due to the short-term nature that is apparent with guarantor loans, measuring them by APR may not always appear the most accurate way of determining this type of loan, however, it is an obligation that the guarantor loan sector must follow. This is because the regulatory body for consumer products, the Financial Conduct Authority, explicitly states that they must do so. If a guarantor loan company wants to remain trading in the industry or doesn’t want to face large fines, they must be compliant with these rules. As a result, all lenders must state visibly on their website the APR rate of all their products. The same obligations are also applicable for any other marketing communications that the company has, such as TV promotions, banner advertising or leaflets provided. Since the FCA took over from the Office of Fair Trading in 2014, there has been a much more dedicated effort to ensuring that there is greater transparency about products available to customers, as a way of helping to build consumer trust in a sector that has often come under sharp criticism (and many complaints too). As a result of this clarity, applicants are able to fully comprehend the circumstances as to which they are applying for this loan, as well as being able to determine if getting a guarantor loan is something that is financially viable for them when including additional fees alongside the original loan amount. 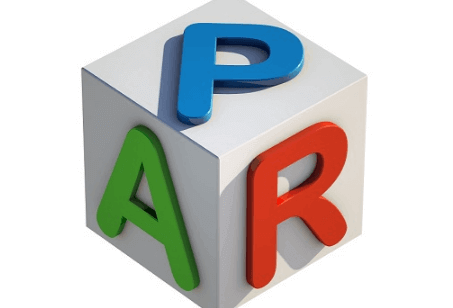 Where you aware that there is in fact not just one type of APR? Before deciding to apply for a loan or another kind of financial product, you should make sure that you are aware of the differences between them. The representative APR is the amount that is advertised by a lender, which is the minimum percentage that 51% of people who have applied for a guarantor loan will end up paying who have been approved for credit. That does mean that up to half of the people applying could end up paying more than the representative APR that has been advertised, so you should carefully consider if it is the right option for you. The reason why you won’t necessarily get the representative APR is because this is decided by lenders assessing your financial history (for example, your credit score, if you are employed, your level of income etc.) all of which can affect the rate that you end up receiving for a guarantor loan or another kind of financial product. A loan that has a variable APR means that depending on the month, it is possible that the interest rate ends up changing throughout the loan term. On the other hand, a loan that has a fixed APR means that you can rest assured that the interest rate amount ends up being exactly the same through the entirety of the time that you have a loan, regardless of whether or not this a matter of years or months. When it comes to what typical APR means, this refers to the rate that over 66% of customers who apply to get a guarantor loan end up receiving. That equates to around two in three people who apply. However, in the guarantor loan industry, it is much more common for the representative rate to be given as opposed to the typical APR.